A new generation probiotic. Contains the highest concentrations of human-friendly beneficial bacteria. Probiotic Yogurt is an advanced preparation for the microflora recovery, both in the form of a fermented milk drink and in its pure form. 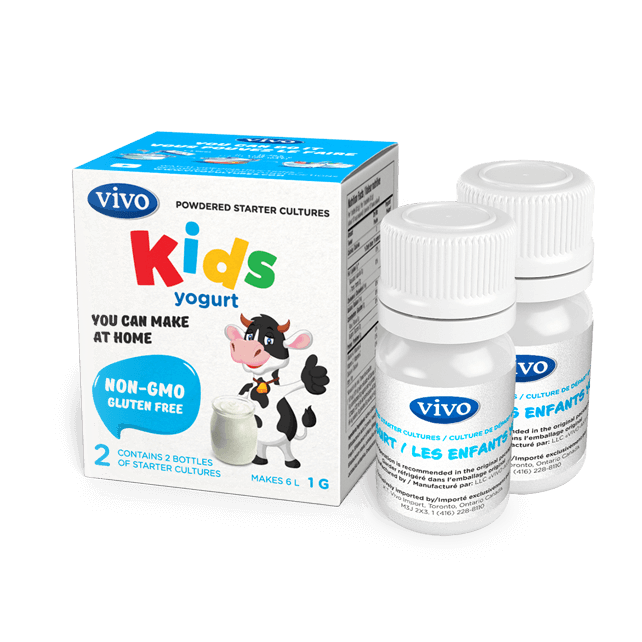 VIVO Probiotic Yogurt is a starter culture for the fermented milk product. It is an advanced probiotic that contains the highest concentrations of human-friendly beneficial bacteria. This allows using Probiotic Yogurt not only as a fermented milk product but also in its pure form without a fermentation process. Probiotic Yogurt is the best starter culture to restore healthy microflora or to displace unwanted microbes. Its effect is equally strong when used in its pure form and as the fermented milk product prepared with the starter culture. 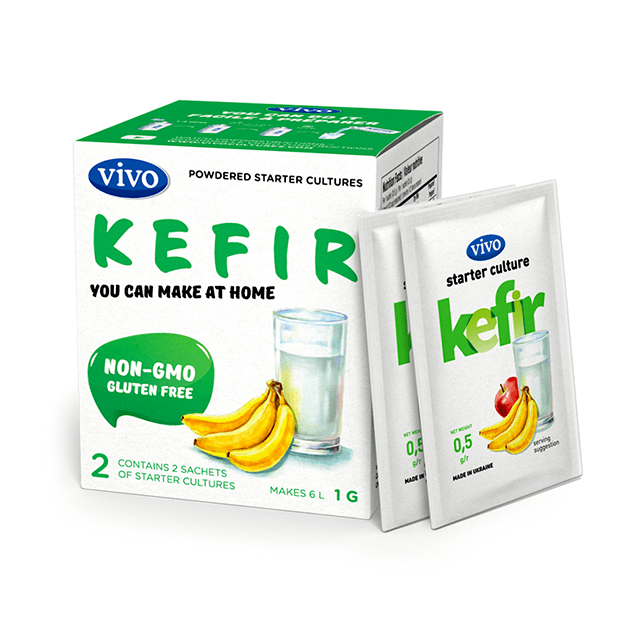 It restores and maintains healthy intestinal microflora. It stimulates growth and vital activity of its own microflora (bifido- and lactobacilli). It promotes strengthening of immunity and development of its own interferon. It fights intestinal infections and putrefactive bacteria. It normalizes digestion, improves peristalsis, and prevents constipation. It is efficient in topical use to combat bacterial and fungal lesions of the skin and mucous membranes. 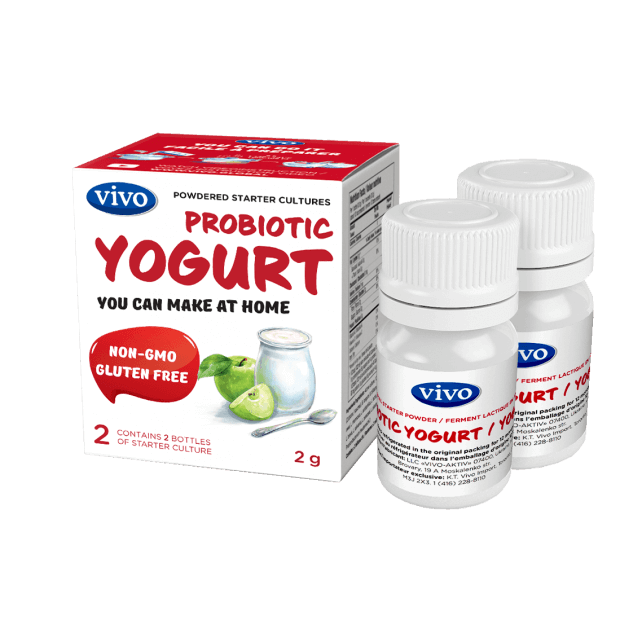 Probiotic Yogurt bacteria are a complex combination of a large number of strains of bifido and lactobacilli. This combination is called symbiosis because each bacteria enhances each other’s activity. Provide physiological protection of the intestinal barrier from penetration of microbes and toxins into the internal environment of the body. Have a high antagonistic activity in relation to pathogenic and potentially pathogenic microorganisms. Enable producing organic fatty acids and are involved in disposal of food substrates and activation of parietal digestion. Synthesize amino acids and proteins, vitamin K, pantothenic acid, group B vitamins: B1 – thiamine, B2 – riboflavin, B3 – nicotinic acid, Bc – folic acid, B6 – pyridoxine. Promote intensification of the absorption processes of calcium, iron, vitamin D ions through the intestinal walls.